The Proteas have focused on moving up the rankings to become the No 1 Test side, but it seems as though they have forgotten that from July, the only way to become the best Test side is to win the Test Championship. Pressure has piled on the current Test XI to perform despite the expected imminent retirement of a host of Proteas players after the 2019 Cricket World Cup. I wonder if their Test strategy should rather have been focused on building for the future in order to give themselves the best chance of winning the trophy. Hash Amla, in particular, is expected to retire from international cricket after the World Cup, and his continued struggle in the longest format could affect his mental preparation for the 50-over game. His performance in the shock Test defeat against Sri Lanka, for example, would have thrown his mental game slightly off course, just after he started to find momentum and confidence having played superbly in the ODI series against Pakistan. Yes, the ODI and Test format is different. Yes, they are completely different sides … but form regardless of the format affects a batsman’s confidence when he moves from one format to the next. CSA should have let Amla focus on his ODI preparations, and instead allowed Zubayr Hamza to have an extended run in the Test side at No 3, which would have afforded him the start he needed to settle himself in his inevitable future position in the Test side. Dale Steyn has not been as lethal as he has been in the past. 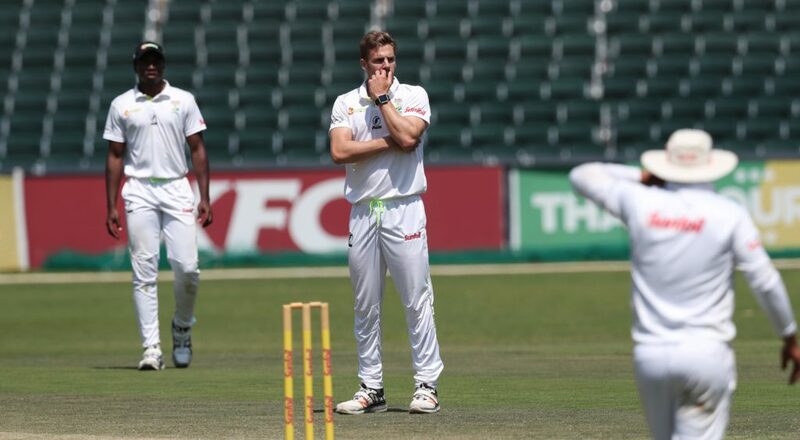 Although it has been exciting to watch him break the South African Test wickets record, perhaps it is time to clear a path for a new speedster to emerge on to the scene – and I’m thinking particularly about Anrich Nortje, the only bowler in South Africa consistently clocking over 150 km/h. Faf du Plessis has been an incredible captain for the Proteas, but with the Test Championship running through to 2021, perhaps it will be too disruptive for the Proteas to lose their skipper in the middle of their Test title hunt, as an imminent retirement announcement is clearly becoming a reality for the now 34-year-old (he’s said it himself in press conferences). Chemistry and consistency is key to any championship-winning side. The perfect preparation would have been to start a young side during the Test series against Pakistan and Sri Lanka (both ranked in the bottom half of the ICC’s Test rankings) so that by the time we face India and England at the end of 2019, these players would have had some game time under the belt. This was not the case, sadly, so it’s time to look forward and try to predict what the Test side will look like after the World Cup. The remaining four spots in my 15-man squad would be reserved for some of South Africa’s best long-format domestic players: Marques Ackerman/Pieter Malan/n, Keegan Petersen, Sinethemba Qeshile/Kyle Verreynne and Bjorn Fortuin/Dane Piedt. A bold move altogether would be to select a new Test captain after the World Cup and ease him in as a long-term replacement for Du Plessis – perhaps let Markram captain while Du Plessis is still in the side to offer a guiding hand. The worry for me is that the selectors will pick a more experienced side in a bid to beat India and England. In order to achieve that, however, the Proteas need their batting lineup to be at their best. The Proteas’ batting woes in recent Tests have been clear for all to see, so surely it would make more sense to take a chance on a younger player who might only score in the 20s or 30s for the first few Tests … but then that’s what most of our more experienced batsmen are managing anyway. At least by blooding our best youngsters soon, it would give them a chance to learn valuable lessons and gather the experience they need to help drive the Proteas to where we all want them to be – holding the Test Championship aloft in 2021.